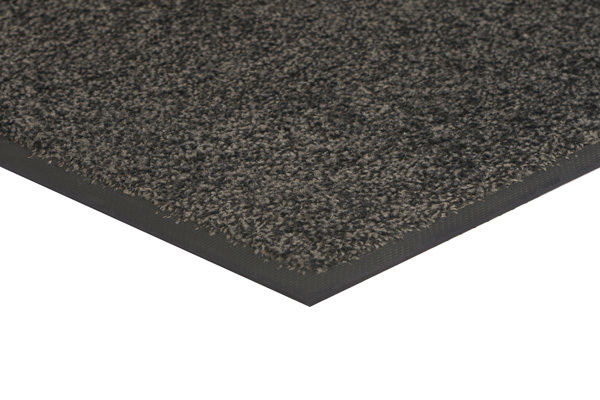 Similar to the Lustre Twist Mat, the Apache Grip Mat w Gripper Backing offers a luxuriously dense cut pile nylon carpet, but also provides matting that is molded and cleated with nylon rubber backing to minimize mat movement over all types of flooring including carpet. Because the backing is rubber instead of vinyl, it can withstand the toughest environments and is even machine washable! NOTE: Many of these sizes have to be made to order and the lead time is approximately 14 business days. If your order is time sensitive, please feel free to call Commercial Mats and Rubber at 1-800-810-7847 or email service@commercialmatsandrubber.com to see if your size is in stock. Thank you! 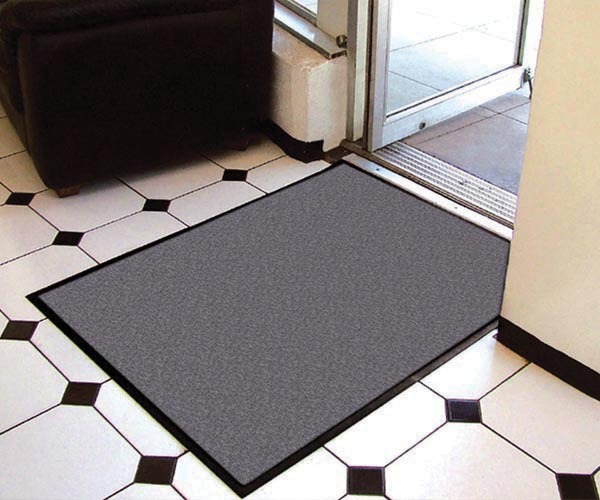 This rubber backed floor mat is great for indoor high traffic entrances areas. And locations where mat slippage is a problem.